Plus two CPU cores, +100ppi, LTE, a bigger screen, beefier battery and looking sharper, the Samsung Galaxy Grand 2 is a sequel made in heaven. Then again, we're talking Samsung and dual SIM, so that could've easily been another sequel made in ... a hurry. And since we're well past the point of spoilers - that's not the case here. Definitely not. To be fair, the original Grand didn't set the bar too high to begin with, with just not enough screen resolution for the size and a budget-grade chipset. So, instead of thinking long and hard about where to begin, Samsung almost wiped the slate clean with the second generation. 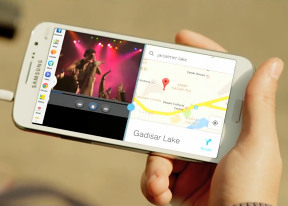 The Samsung Galaxy Grand 2 got a bigger 5.25-inch display, but the resolution got the message too this time. A better battery was obviously in order - and the Galaxy Grand 2 delivered - yet it managed to keep almost the same footprint. The processing power was more than doubled with a quad-core CPU, a superior GPU and more RAM. The Android version is a more recent edition too. All fine and dandy, but upgrading last season's model was only half the job done. Samsung was clearly aware its dual SIM lineup needed strengthening in a market that has been seeing a surge in both quantity and quality. 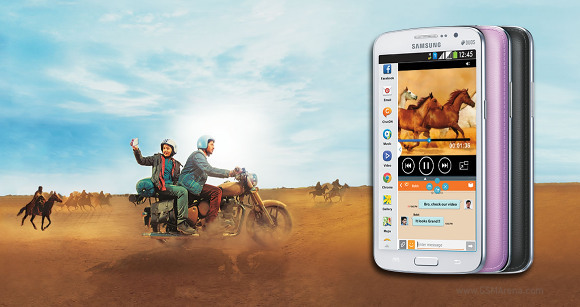 There's no shortage of choice when it gets to the size and level of equipment of the Galaxy Grand 2. The HTC Desire 700 is a dual-SIM droid with a 5.0" display, the same quad-core Cortex-A7 processor though coupled with a different GPU, an 8MP camera and HTC Sense 5.0 over Jelly Bean. It costs the same as the Grand 2 but falls short in terms of screen resolution and LTE support. Premium design and stereo Boom Sound speakers are offered in exchange. 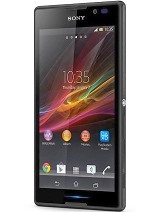 A nearly identical package by Sony, the Xperia C offers qHD resolution on a five-inch diagonal, an 8MP / 1080p-capable camera, expandable storage and a robust 2,390mAh battery. LG too recently announced a pair of potential rivals: the LG G2 mini and the LG L90. Both feature 4.7" qHD displays, Snapdragon 400, 8MP cameras and Android 4.4 KitKat. 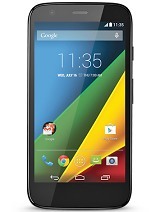 The Motorola Moto G (both single-SIM and dual-SIM options) is powered by Snapdragon 400 and is matching the Grand 2 720p resolution. Android KitKat is a definite point in favor, while the lack of LTE may as well be forgiven in a package that costs considerably less. The non-expandable storage and smaller screen of the Motorola might be a bit harder to swallow, though. Another option with a 720p screen, the Oppo R819 is impressively slim and has a good camera and solid build. Oppo phones have consistently made a good impression and the good news about this China-made dual-SIM droid is that its availability extends well beyond China and Asia in general, to include Europe and the US. Storage expansion isn't on the list of R819 features, though. Well, even in such an impressive sample, it's near impossible to find a device with both dual SIM support and LTE that's not a phablet. Not even the Samsung Galaxy S4 mini does offer both features in the same package. LTE may as well be irrelevant in most markets where dual SIM is usually in high demand - but it says something about Samsung's plans for the Galaxy Grand 2. And even if LTE isn't a big decider overall, the Grand 2 is still one of the most feature-rich packages in its category.